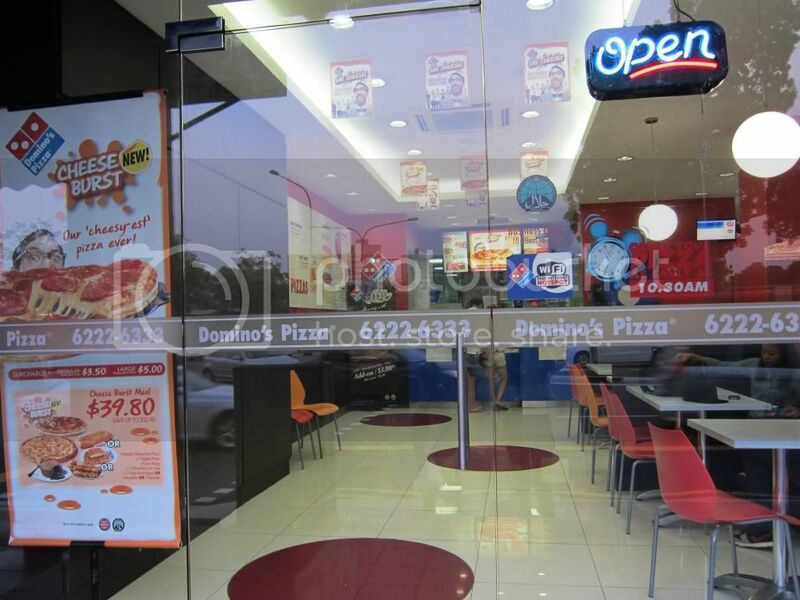 Let's get cheesy with Domino's! 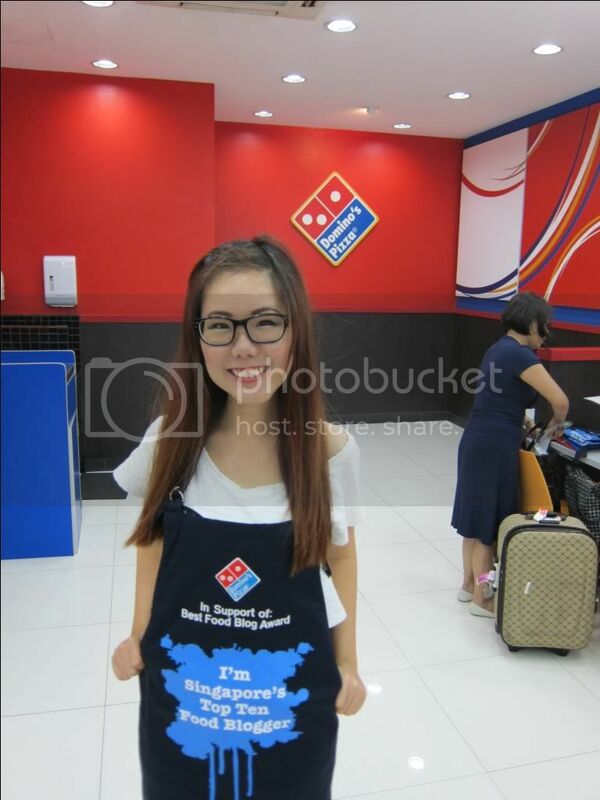 / IISJONG | Singapore-Australia Lifestyle & Travel Blog IISJONG | Singapore-Australia Lifestyle & Travel Blog: Let's get cheesy with Domino's! Let's get cheesy with Domino's! I was the earliest there that day *miracle*. 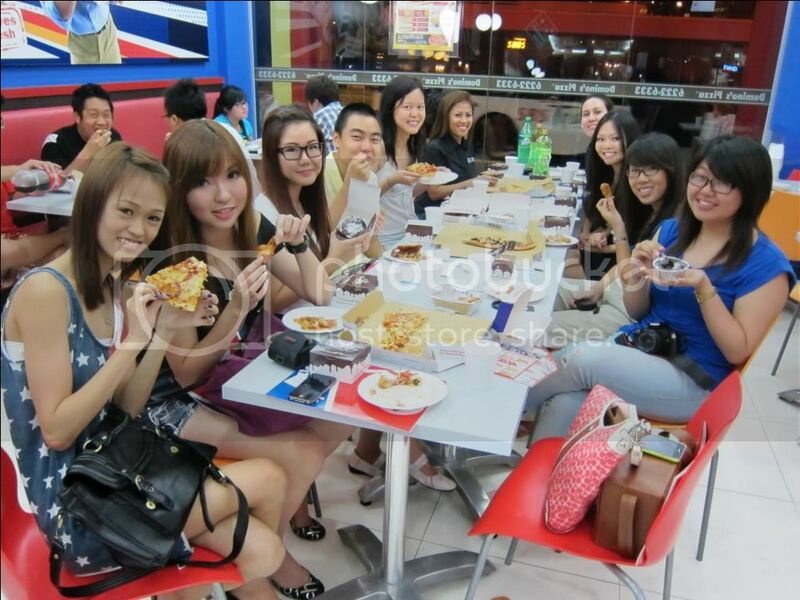 So when more bloggers came in, introduced themselves and we got more settled, it was omnomnom time! It is basically fried chicken covered with curry powder. 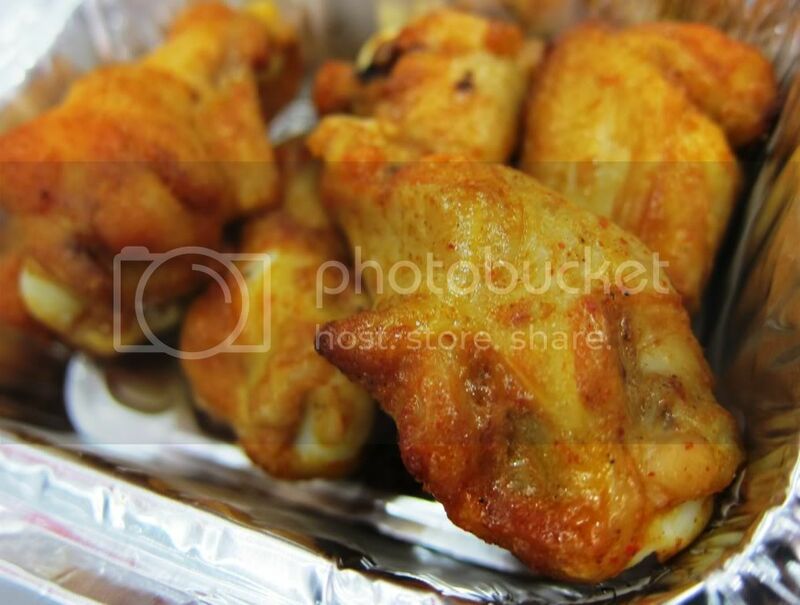 When eaten alone, it can be quite spicy and dry, but nevertheless is was.. Well fried? It was hot inside out, unlike some other fried chicken that are hot on the outside and cold on the inside. I felt that it was a nice mix when dipped into the cheese sauce. I really like onion rings. 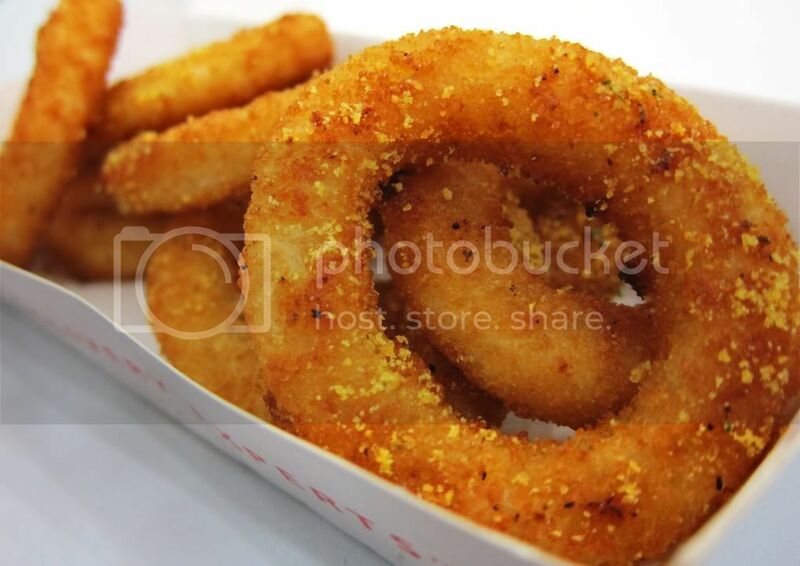 This Garlic Cheese Onion Rings gave it a special twist! It had no onions inside. I really dislike it when there're onions inside as I don't eat onions, so I usually take it out. This helped me save a lot of time, and it was really crunchy! This is very yummy and many of the bloggers loved this. The chicken was tender and easy to chew off. 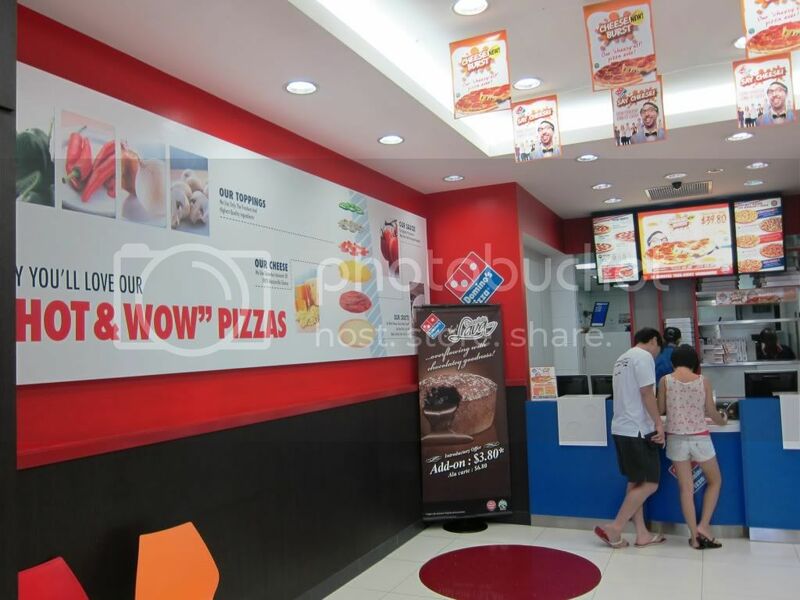 We were introduced to the pizzas with different crusts. There were thin ones, thick ones and the normal ones. But hold on, that isn't all.... Their latest addition to the Crust Family is the Cheese Burst Crust, where there's cheese in the middle of the crust! We also learnt that they have a top secret special kind of sauce that gives an aromatic of creamy, cheesy flavours with an unmistakable garlic zest! 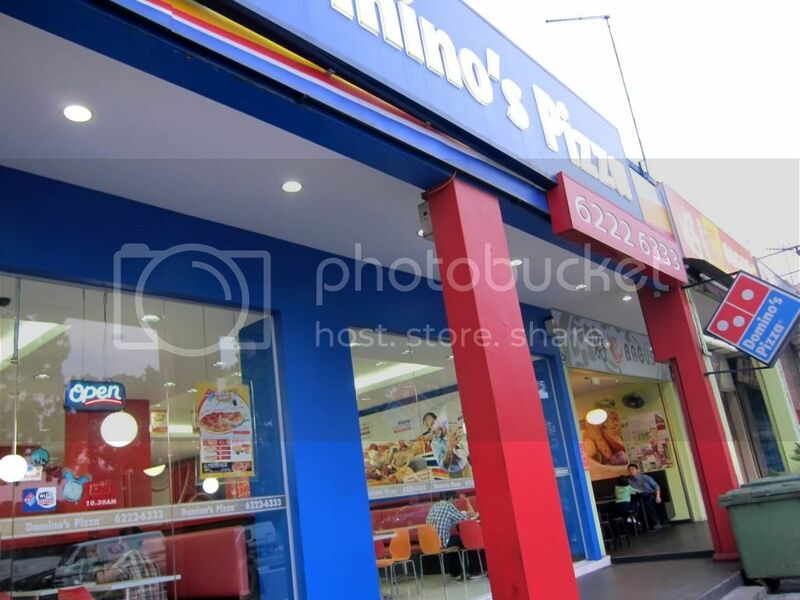 Alright, after all that talk, IT'S PIZZA TIME! 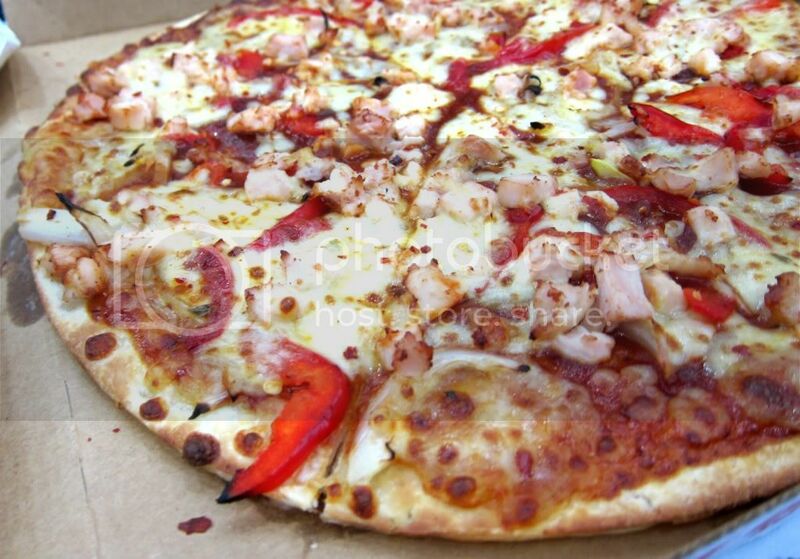 100% Mozzarella cheese with succulent smoked chicken breast, Onion, Red pepper and Chilli flakes. I thought that this would be reallyyyyy spicy, but surprisingly it wasn't. 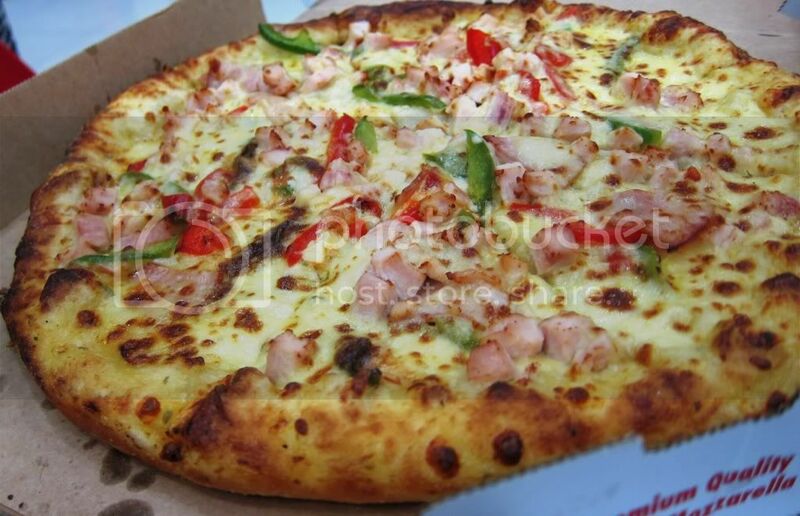 100% Mozzarella cheese with Succulent smoke chicken breast, Turkey ham, Green and Red pepper. This was quite creamy, which is really special! The chicken was really good. I don't really like green & red pepper because they taste weird, but this won't. I found it kind of oily though. 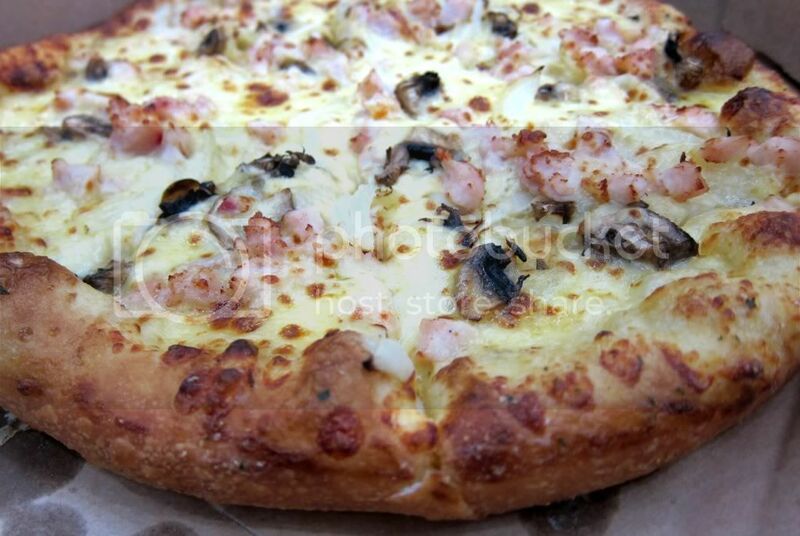 100% Mozzarella cheese with Succulent smoke chicken breast, Fresh onions and Mushrooms. I found this really simple & nice! 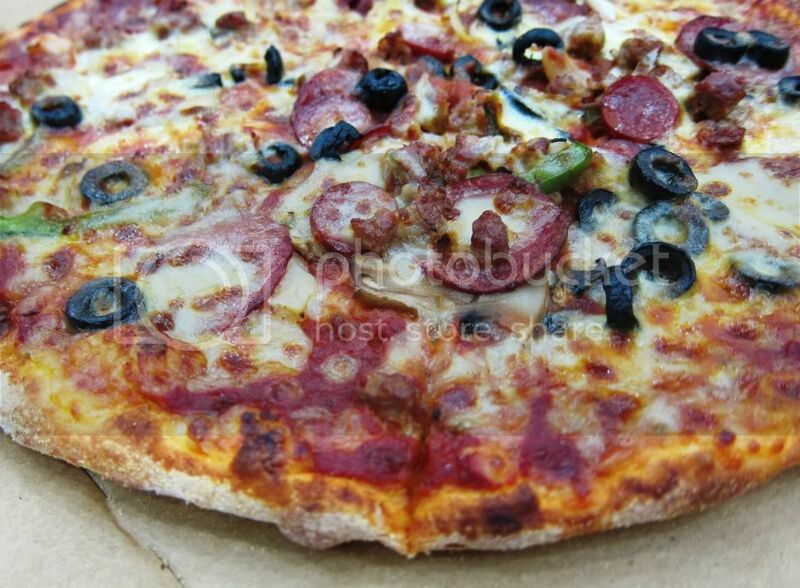 100% Mozzarella cheese with Beef pepperoni, Cabanossi, Ground beef, Fresh onions, Green pepper, Mushroom and Ripe olives. I really loved this! Call me weird, but I like to combine a lot of stuff & eat them together. This totally fit into the criteria + it's really soooo yummy! 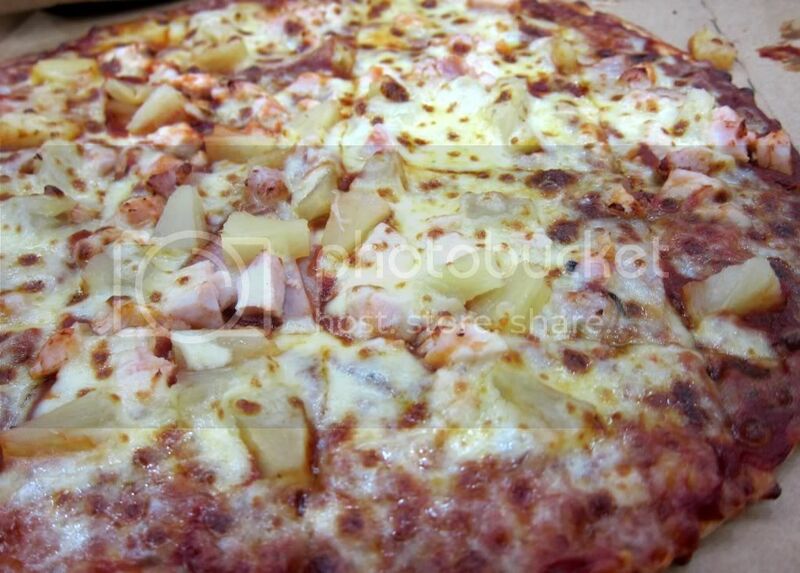 100% Mozzarella cheese with Succulent smoke chicken breast, Turkey ham and Juicy pineapples. 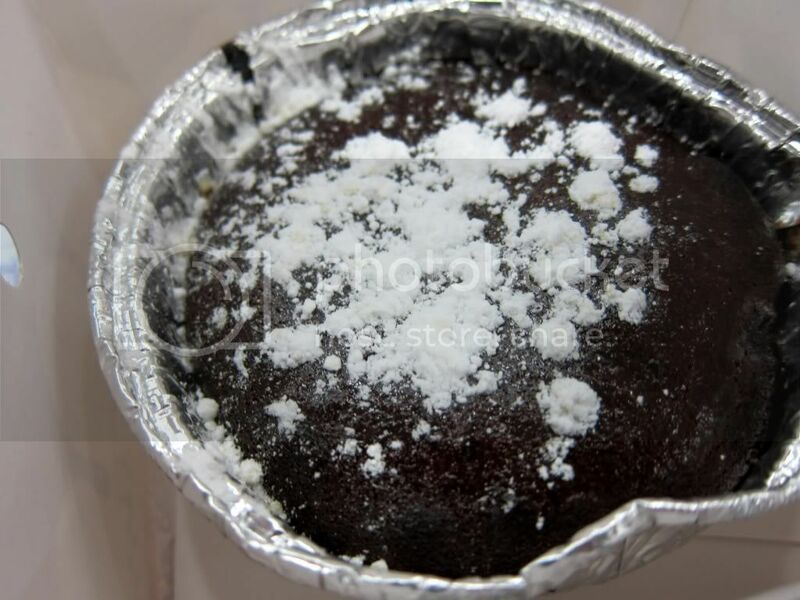 Lusciously melted soft chocolate centre, overflowing with chocolatey goodness. Mmmmmm... It was love at first bite! It was so nice, I felt like I was in heaven or something. Yes, it's that good. 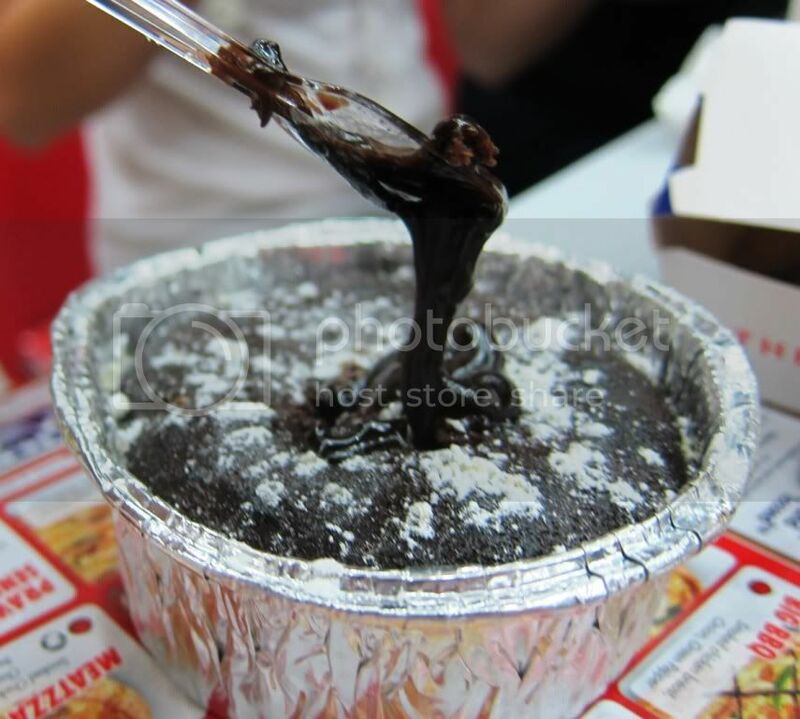 It's actually a brownie with chocolate sauce inside. The sweetness was just right. However, you'll get kind of bored of it after taking too many bites. One thing that really impressed me was this! 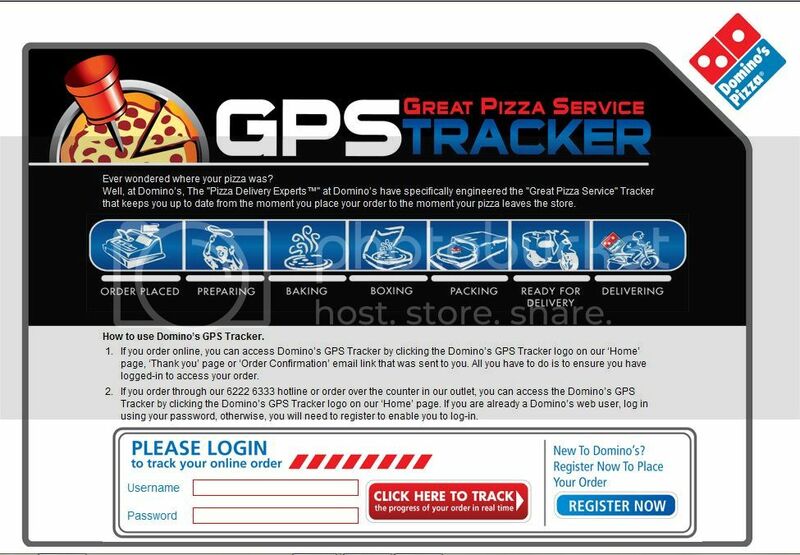 Domino’s have specifically engineered the "Great Pizza Service" Tracker (GPS Tracker) that keeps you up to date from the moment you place your order to the moment your pizza leaves the store. Anyway, I made new blogger friends that day! You can check out their blogs here: Alexis, Hazel, Melissa, Nigel and Roxanne. Hey! I forgot to ask what camera you're using to take pictures of the food. 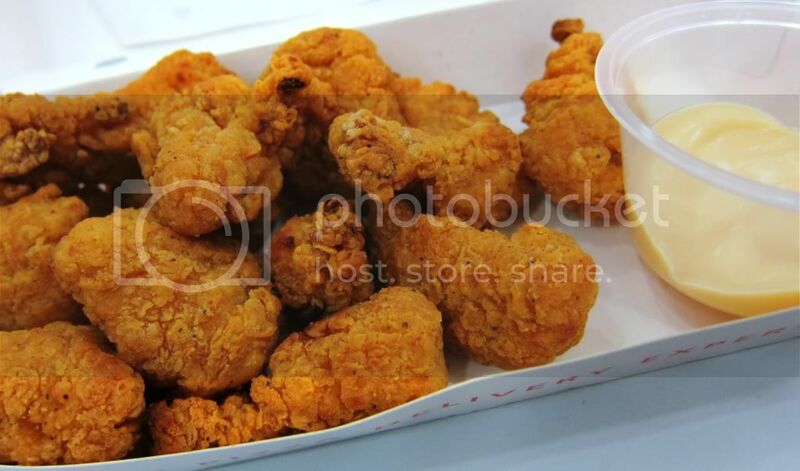 The chicken crunchies look so good! Hahaha, thank you! :) I used Canon S90 that day. I switch around that with Lumix LX3 & Nikon D90.